Athena and I are both water babies. Our heaven is swimming in a pool, a lake, an ocean…. a bath tub. I never feel quite as relaxed or refreshed as during and after swimming. Curacao is a dream for water babies and today was one continuous, unbelievable, pinch me dream made reality. We started our morning at 7 am. 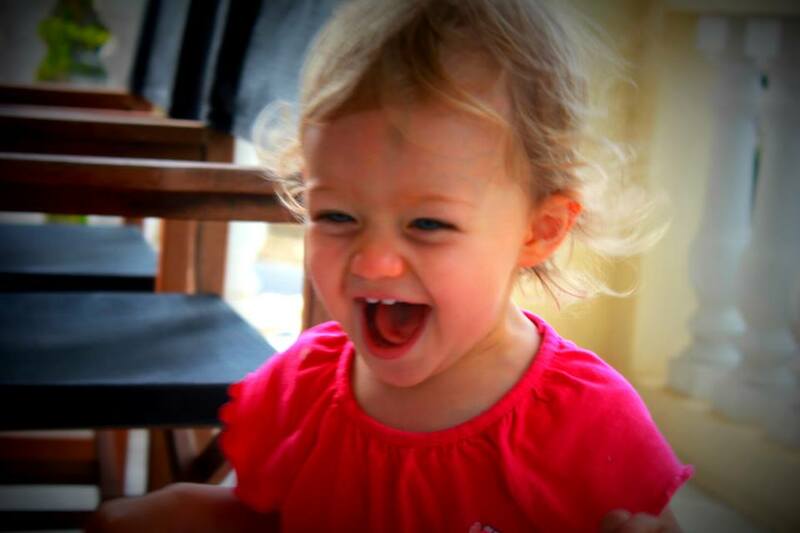 While I was packing and preparing for the day, Athena was running around the hotel room and the patio saying, “Pool. Pool. Pool.” She knew what our day would be like. Even before breakfast, we went for a swim at the hotel. It was the most refreshing way to start the day. Already hot and sunny, the pool felt cold at first but after the initial adjustment it was soothing. We had an hour before breakfast and we used every minute. The rest of the day included pristine beach after pristine beach. I kept thinking it couldn’t get any more beautiful yet they were all equally unique, making them more beautiful than the last. 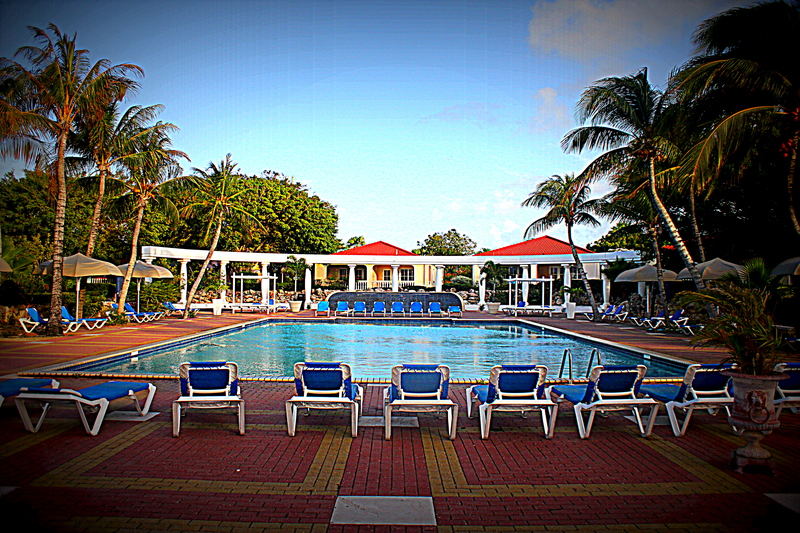 Livingstone Beach Resort offers two pools and I’m glad I didn’t just stick to the one I knew. Before dinner, Athena and I ventured across the street to another pool and it left me standing there with my mouth agape. Can you even tell where the pool ends and the ocean begins? The water adventures continue tomorrow but this time we can to include mammals. Watch as Athena swims with dolphins for the first time. I’m too excited to sleep. This entry was posted in Curacao, Family, Family Travel, Travel and tagged bucket list, Bucket List Publications, bucketlist, Curacao, Family, Lesley Carter, travel by lesleycarter. Bookmark the permalink. Gorgeous! (: And that picture of Athena is absolutely fantastic! She is a doll! What a fun, beautiful, breathtaking experience. I love to be in the water too. Ocean, tub, pool or lake…I just feel so at home in the water. One of my bucket list things is to swim in all five oceans…three to go but two of the coldest still on that list! Love travel with children! It gives them such amazing horizons…always worth the trip! 🙂 Our children have been across Europe, born in two European countries, and are now enjoying the States! 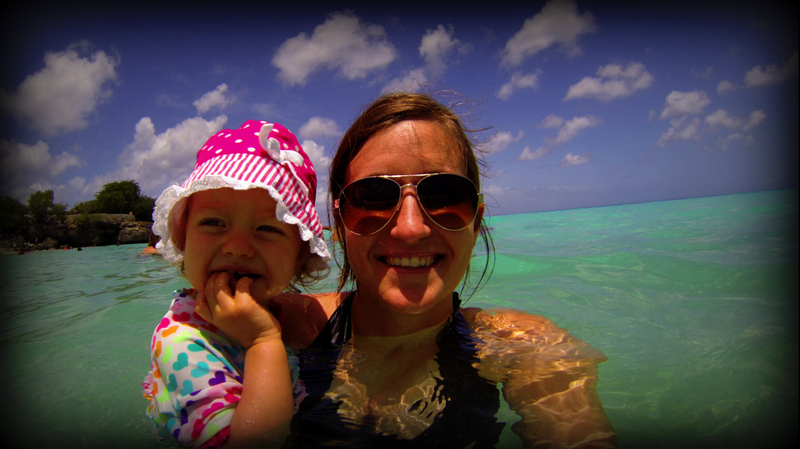 It has its challenges but every second of adventure is heightened by having children at your side. I love exploring new countries, cultures, and adventures with Athena. Where’s your next trip? What a gorgeous photo! Quite jealous as I freeze in Australia – 2 degrees this morning! I met a lady here today from Australia. You should visit too 🙂 Where is the next stop on your list? Amazing! We got our two year old his first passport for his birthday but have yet to use it. We too, are water babies and your post is inspiring me to start planning a beach vacation, thanks! I also love the water and find it so great. Looks like you both had a blast and looking forward to tomorrow with the dolphins. Athena is sure growing up and so adorable! SO exciting! It looks like a gorgeous island. 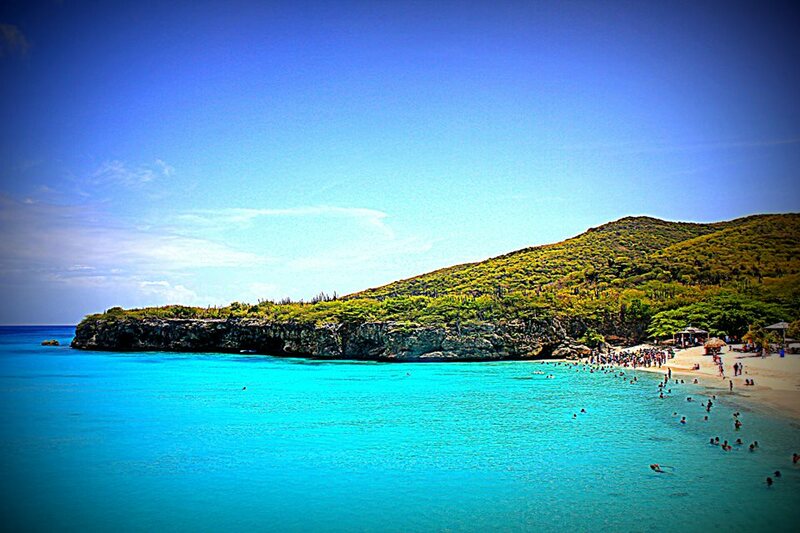 Having just seen Barbados, I’m all about beautiful beaches and turquoise water! So wonderful!! Well I know that Fiji is coming up, but since that is FREE 😉 you should make a trip to Curacao. The water is unbelievable. I haven’t heard anything from Fiji air yet, so need to see the restrictions, to plan. You look very happy, both of you. Wish you a wonderful trip all over. Wonderful that Athena has such a wonderful temperament. Makes me think she is going to grow up into some smart woman with all these experiences under her belt from such a young age. Looks fantastic. 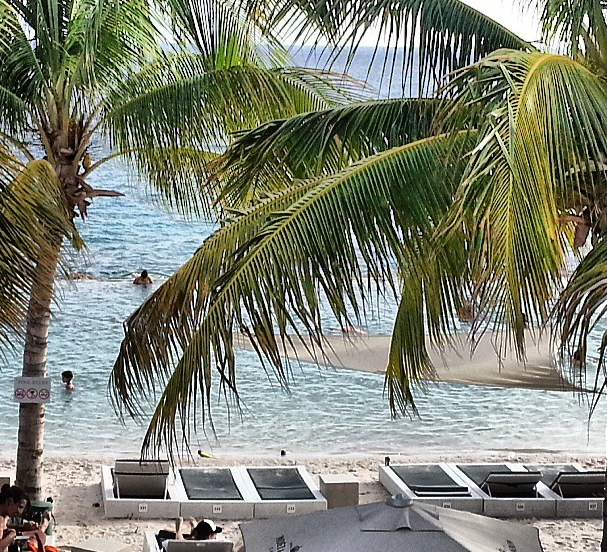 We leave for Curacao in a few weeks – I’m even more excited now. What a beautiful island!! Beautiful picture of you two in the pool and I love the way you’ve captured her energy while she’s waiting for pool time – she’s obviously having a blast!! And, nope, I can’t tell where the pool ends and the ocean begins! Have fun! 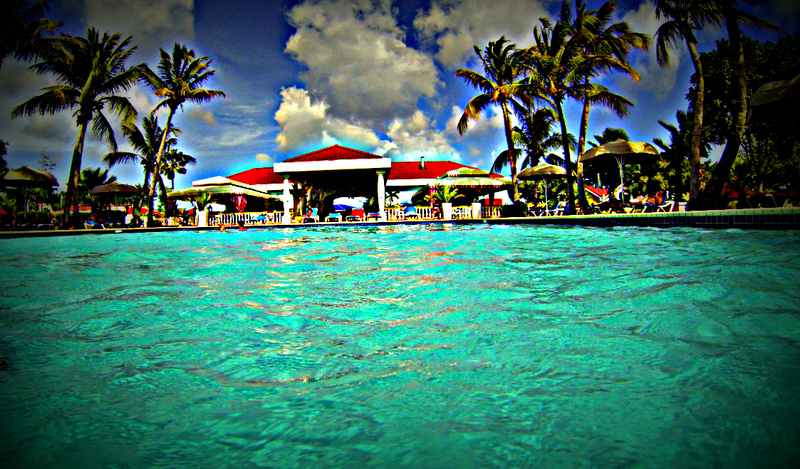 Love the photos, especially the teal pool water with the palm trees. Wonderful to see you enjoying life with your family. Those are good memories you are making! This is giving me a major travel itch! Your daughter is so cute! I love her smile, she puts her whole face into it.